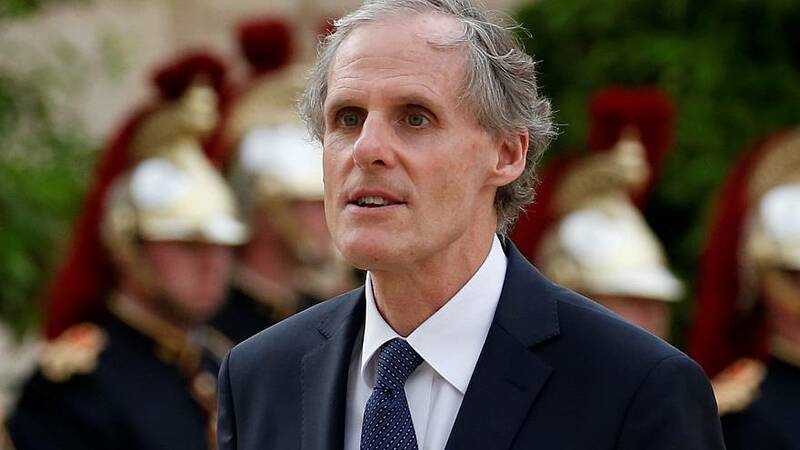 In a move not seen since World War Two, France has recalled its ambassador to Italy, after months of a simmering diplomatic row. The last straw was a tweet from Italian deputy Prime Minister Luigi di Maio this week, showing him meeting with a group of French yellow vest protest leaders. "The wind of change has crossed the Alps," he wrote. The French foreign ministry said it was an "unacceptable provocation," and recalled French ambassador to Italy, Christian Masset (pictured above), back to Paris. In a statement, the French Foreign Ministry also accused di Maio of electioneering at the expense of France. "Disagreeing is one thing, exploiting relations for electoral ends is another," the ministry wrote. Italy's other Deputy Prime Minister Matteo Salvini used the opportunity to push for a meeting with French officials, laying out three issues he said were at the heart of the disagreements between the two countries. "The first one is that 15 Italian terrorists have been drinking champagne in France for decades while they should be in jail in Italy, therefore if the French government would give us back what is ours we are ready to welcome them," he said. "The second issue is that in the last two years at the Italian-French borders, the French government, the one that has been giving us lessons on generosity and hospitality, has rejected more than 60,000 migrants, women and children included, abandoning some of them in the forest at night, and in my opinion this is not the behaviour of a civilised country. The third thing is that the gendarmerie controls the trains transporting commuters from Italy to France wasting hours and hours of work on our fellow countrymen. If I am forced to, then the Italian State Police will behave likewise on the trains that enter Italy from France"
But former Italian MP and former Minister for European Affairs Sandro Gozi had strong words for the actions of both Salvini and di Maio. "It's a provocation too much," he told Good Morning Europe on Friday morning. "Because Luigi di Maio must think, he is the Vice Prime Minister of the country. And the Vice Prime Minister of the country of Italy cannot spend all his time to search for provocation against the country with which we have shared interests such as France. So I think that this is really stupid. This is a stupid attitude that goes against the interests of our country. That doesn't mean that a political leader cannot have contact with other political movements, but a political leader when representing the government, cannot permanently be looking for an external enemy to hide internal problems. And this is exactly what Di Maio is doing in the case of France, in the case of Emmanuel Macron." Asked about Salvini's complaints, Gozi questioned the accuracy of his statement. "I would be very wary of the numbers used by Salvini, because he says that there were 600,000 migrants expelled from Italy and he's expelled 3,000 in this year. So I mean be aware of the numbers during the electoral campaign of Matteo Salvini." "The enemy of my enemy, i.e., the enemy of Macron, is my friend... This simply doesn't go in the interest of our country, and doesn't go in the interest of France of course." Watch the full interview with former Italian MP Sandro Gozi in the video above.